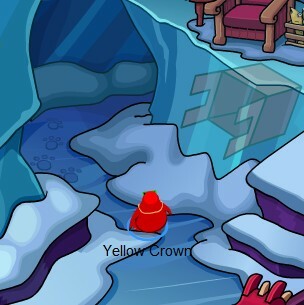 Operation Hibernation | Fosters1537 and Yellow Crown's Club Penguin Guide! Wow! 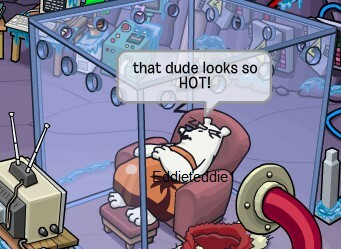 Ninjas are making Card Jitsu is REALLY heating up! 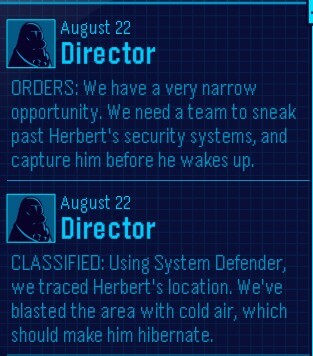 DIrector Hidden Message in Newspaper and Herbert cam! 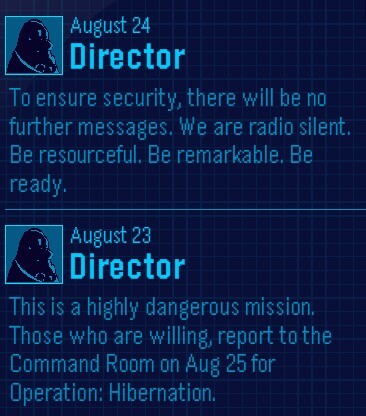 … here’s Director’s Hidden message! 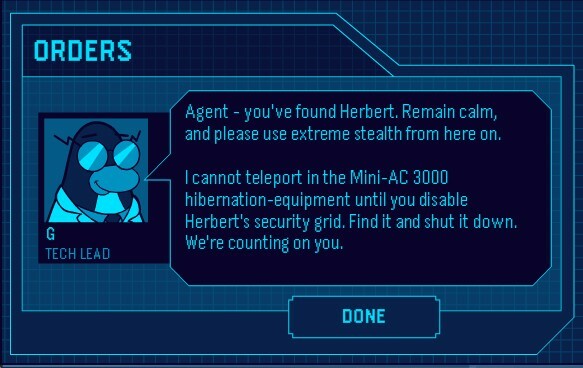 Right you are Director, if you go to the EPF Command Room and click on the Herbert thumbnail you can see and monitor Herbert and EPF security sensors. But for now let’s celebrate by joining in the fairly Fair fun! 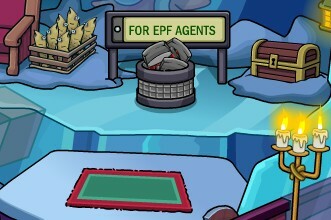 EPF Agents though we haven’t had a Field Op for a while, thsi one is important and followed by an important operation. 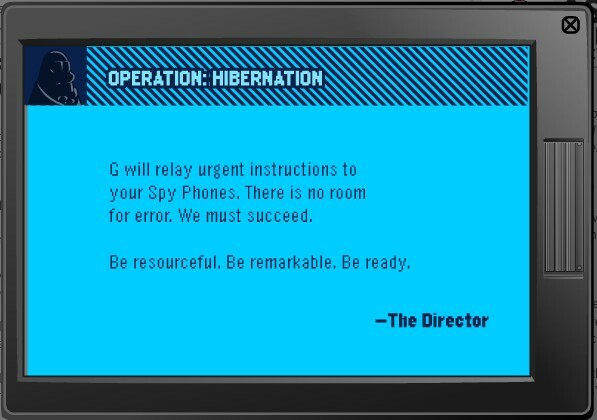 Your Spy Phone should be ringing, answer your call, and click on Go There! 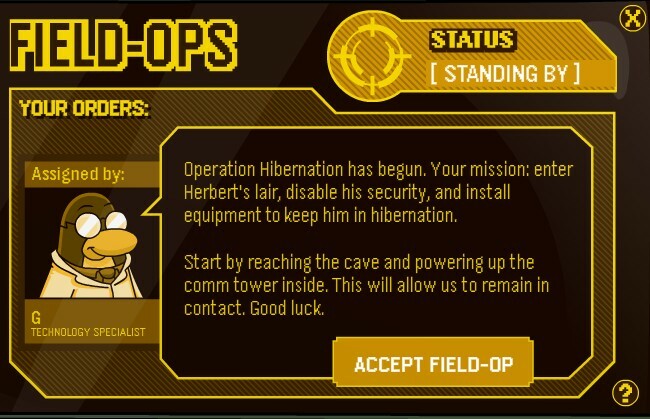 Report to the Field Ops screen at the right. Accept Field-Op and go to the Toughest Mountain (entrance from Ski Village) where the Great Snow Race is going on. 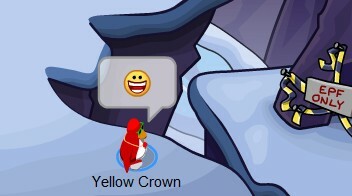 Pass through the Icicles Cave and Base Camp and you’re at the middle of the mountain. 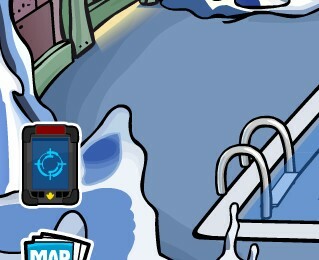 Instead of going to the top, hey there’s an EPF Only sign! Go over there! 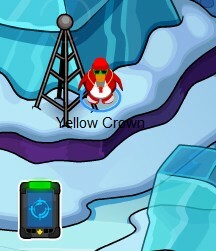 Now walk over near the antenna and your Spy Phone should be ringing. Click on it. 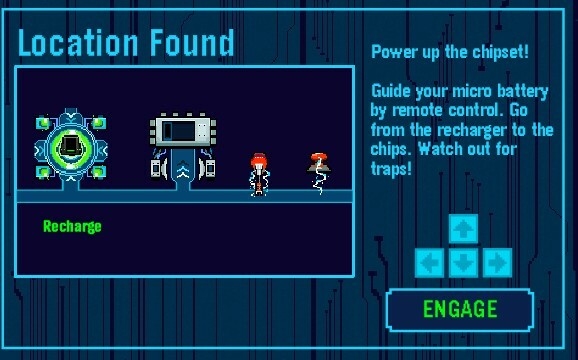 And click Engage then play the puzzle! Once you’ve finished you earn a Medal and get this message from Gary. Remember by completing Field Ops, you get medals that you can redeem for Elite Gears! And maybe earn some stamps too! Also if you completed all the previous field ops this should be your 50th Field Op and earn this stamp! Sweet! Congratulations. But that is only the first part, the Field-Op is done and now to Operation Hibernation. 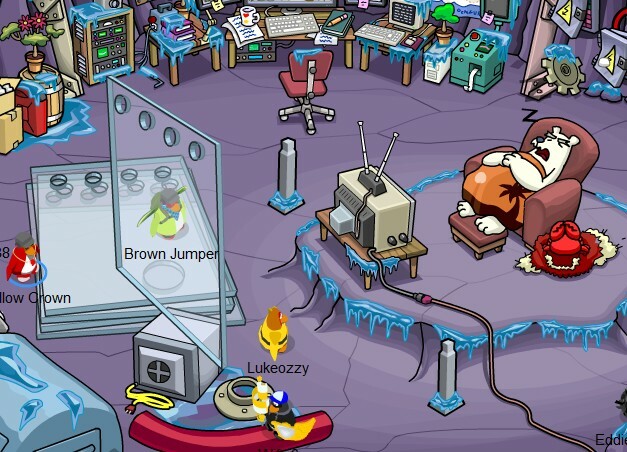 Lets’s start by taking that free item EPF Agents only! Cool! 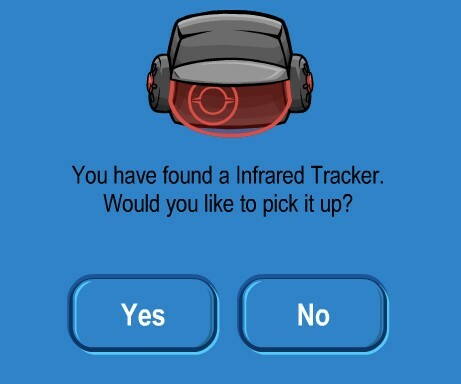 Infrared Tracking Helmet! And it’s also for non-members so they can join the operation too! Now walk down and follow the polar bear paw prints. You’ve got a message from Gary! Remember to wear your new Infrared Tracking Helmet or you won’t see the lasers coming and get caught! Try to pass though all lasers slowly one by one or you’ll get caught. Then climb down the ladder. Climb down the ladder and you see another Laser Room! There are more tricky! 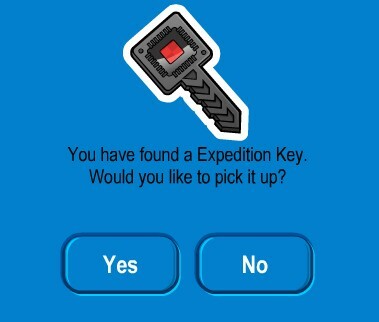 Try to pass them and get to the Expedition Key. And you’ve found… another laser maze. But this is the last one yet hardest and try to get to the sealed door slowly. Once you get through you’ll get another message from Gary but you’ll hear lots of noises because the security system went off! 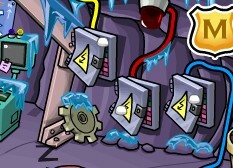 Throw snowballs at the 3 fuses and security system will turn off. Gary send in another message. Here are the parts of Mini-AC 3000. Click on them and put them in order to be put like this. Well Done! 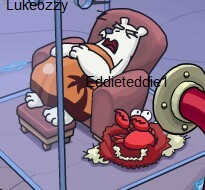 You’ve captured Herbert! You earned a Mini-AC 3000 pin. And one last message form Gary with some good news. 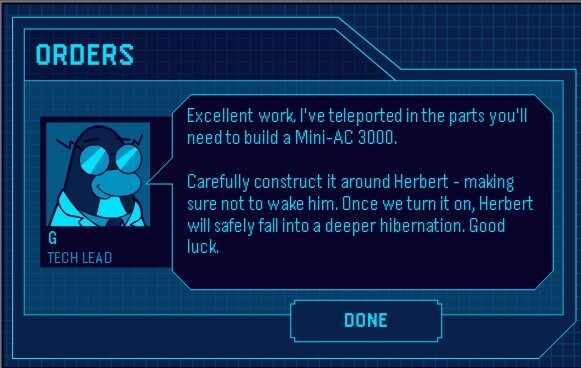 Herbert is now in deep hibernation with that Mini-AC 3000 for up to 10 months! We have enough time to see what we can do with him. Click on Done but oh no! Klutsy woke up, went through Mini-AC 3000 and escaped! What do you think will happen next? Hahah! 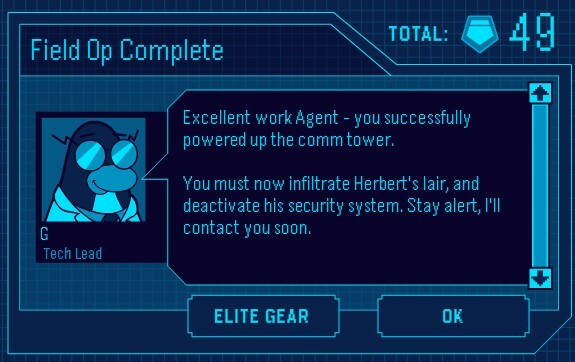 😆 Congratulations EPF Agent, we’ll let you know what happens next and what you can do at Hebert’s Lair too! 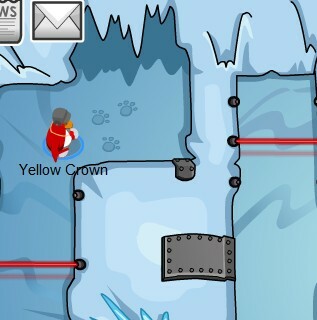 Club Penguin Newspaper Issue 305 and Director Secret Message! 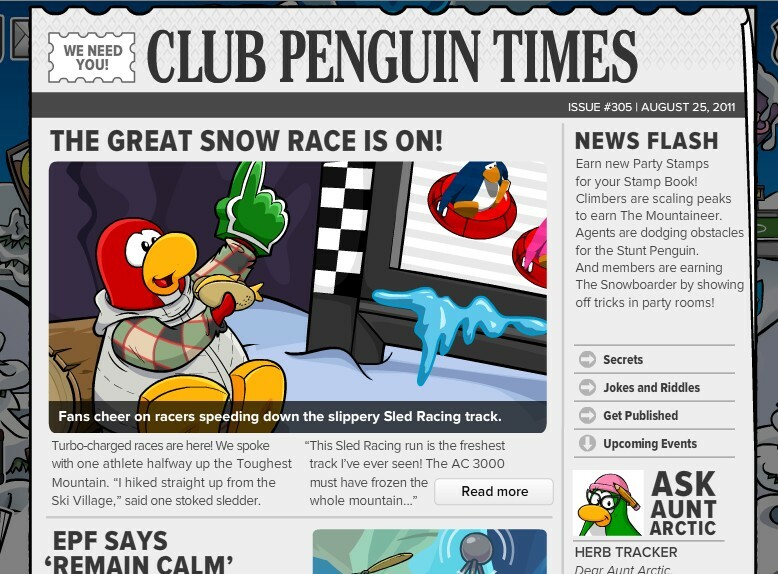 Club Penguin Times Issue 305 is here with some cool news about Great Snow Race which started August 25. 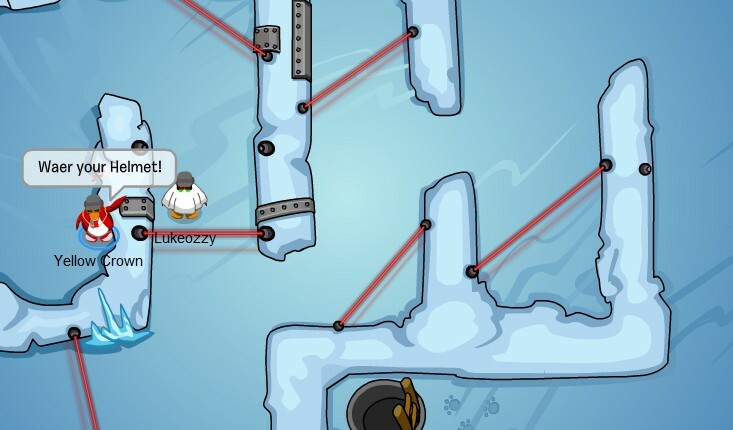 Penguins are racing down the Toughest Mountain with their sleds as thsi is the longest sled race ever! 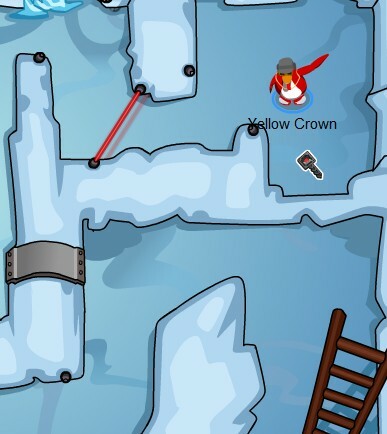 Also Flash News reminds that Great Snow Race also has a limited time stamp! 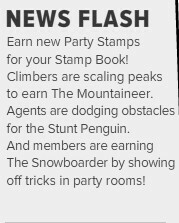 The Mountaineer stamp for all penguins who climbed the Toughest Mountain, Stunt Penguins for those EPF Agents who complete Operation Hibernation and Snowboarder for members who try the Snowboard trick (wear only snowboard and dance by pressing D and you are showing off your snowboard!). 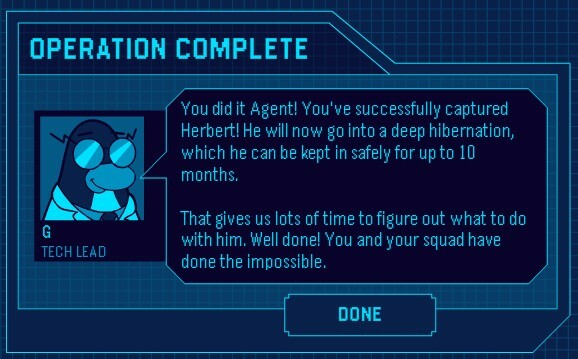 Also Rookie tries to make announcement even though Jet Pack Guy gave him a script, he messed up and revealed Operation: Hibernation name. Oh silly Rookie. But here’s the secret message: click on the Antenna dot (where my mouse cursor is market above) and you’ll see this message. 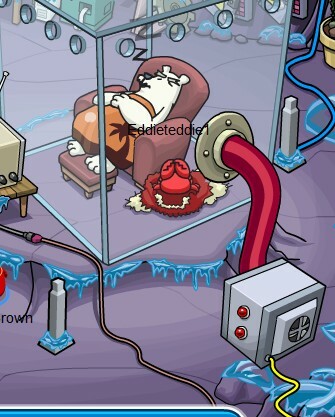 Also Aunt Arctic answers a question about a certain polar bear and says clearly that there is a polar bear in Club Penguin. 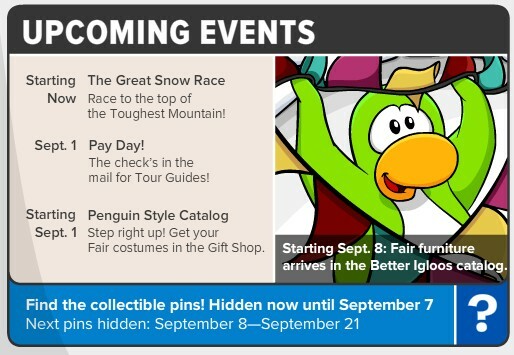 And the upcoming Events clearly shows The Fair is coming next September. But before that it’s Pay Day in September 1! Yay, coins! 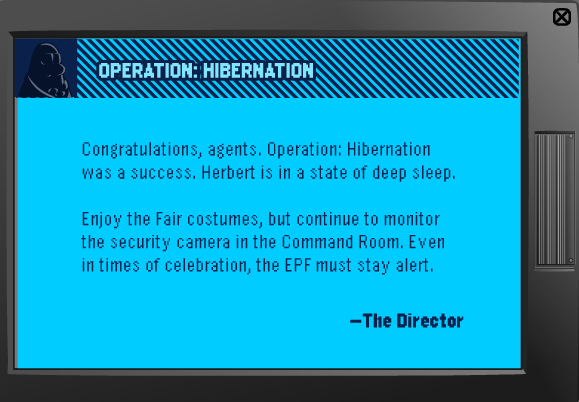 Yesterday agents received 2 messages from the Director with good information about Operation Hibernation. That’s pretty much the explanation we already knew. 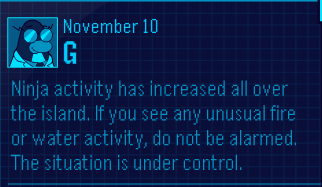 🙂 But I think thsi is good info for the new agents helping out for Operation Hibernation. 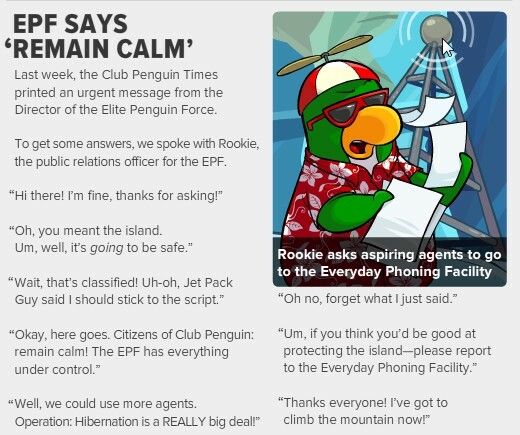 Gary’s EPF Messages 19th August! 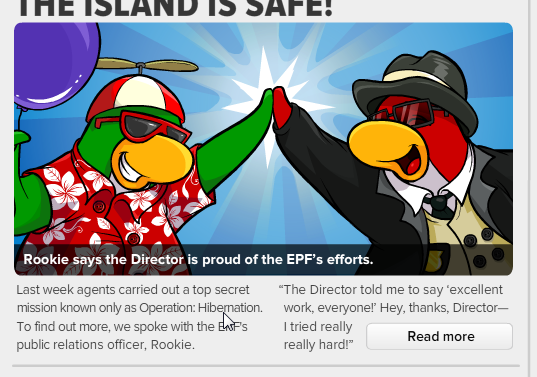 Sorry guys I didn’t tell you about yesterday’s EPF message but here they are! It’s official! 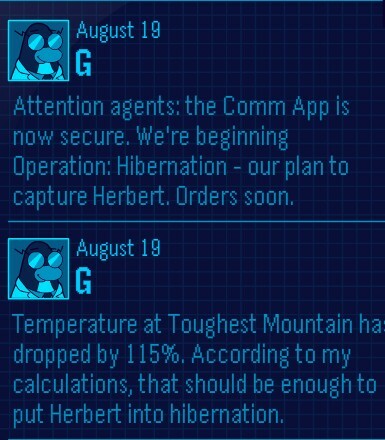 Operation Hibernation will go as planned and Toughest Mountain is already cool enough to put Herbert to sleep! 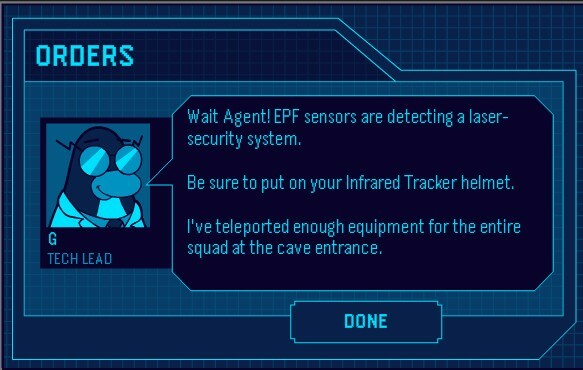 Check out Happy77’s sneak peek video of what we might see next Friday as for EPF Agents and Great Snow Race!